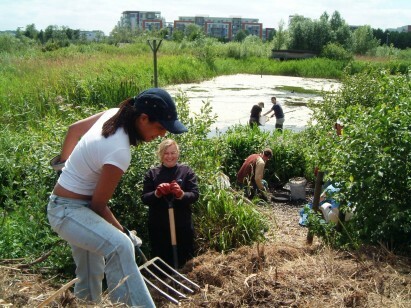 The Land Trust works closely with businesses to help achieve its charitable objectives, through acquiring and managing green spaces for the benefit of local communities and wildlife. 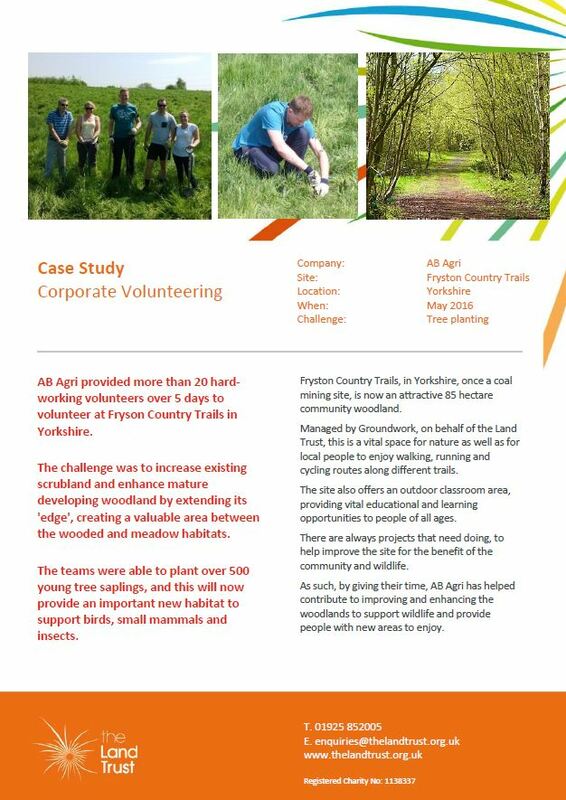 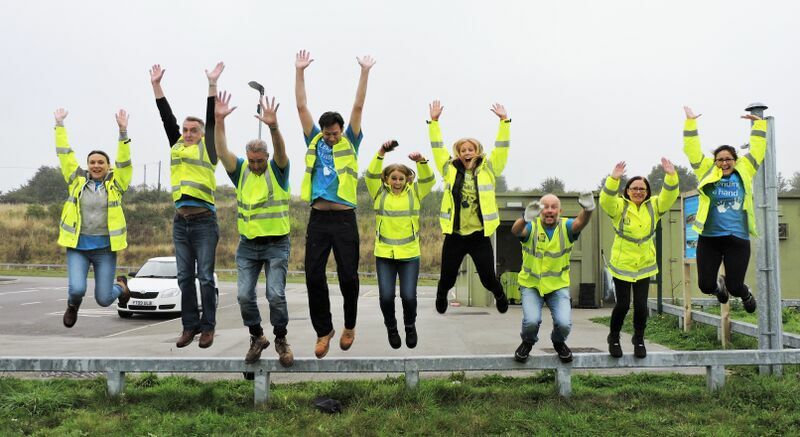 But there are many other ways that businesses can work with us, such as doing corporate volunteering days, donations, such as through your customers, gifts in kind, your valuable time and resources, sponsoring events and projects. 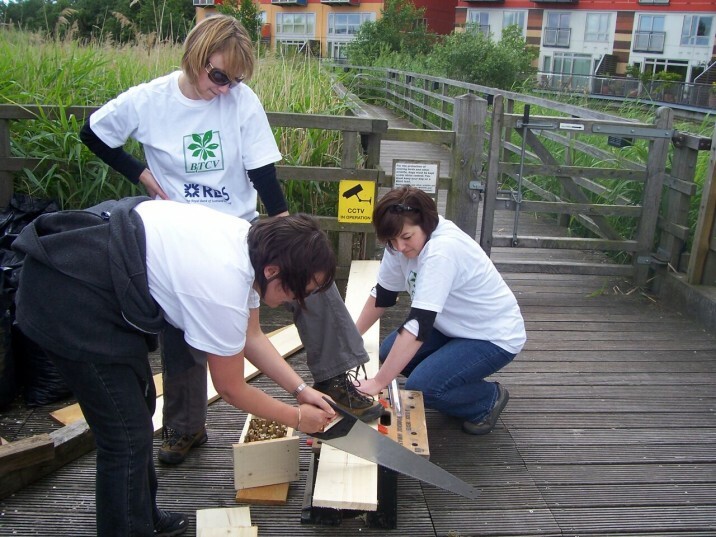 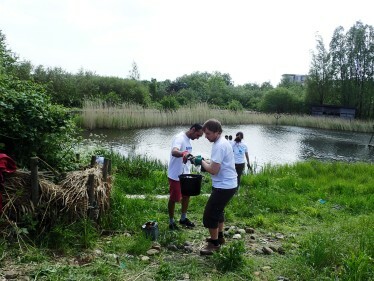 Corporate volunteers building bug hotels at The Land Trust’s site Greenwich Ecology Park. 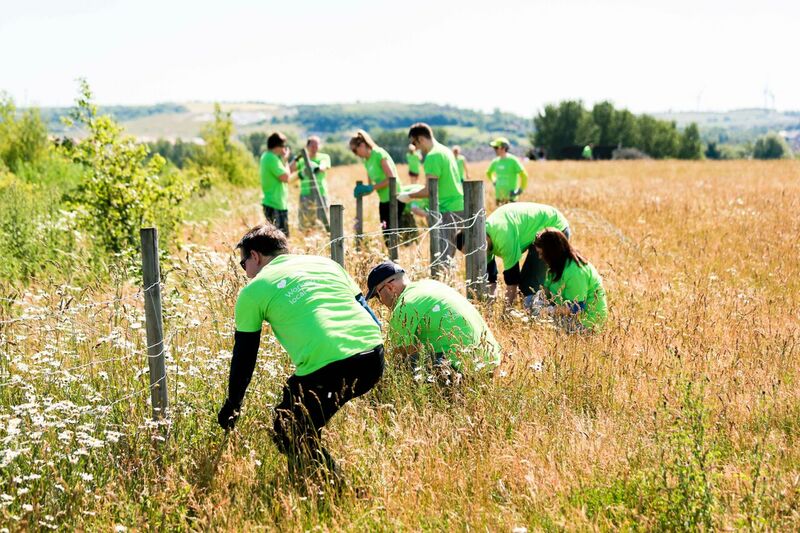 A team of Corporate volunteers contributing to the improvement of the environment, biodiversity and economic vitality at The Land Trust Green Spaces. 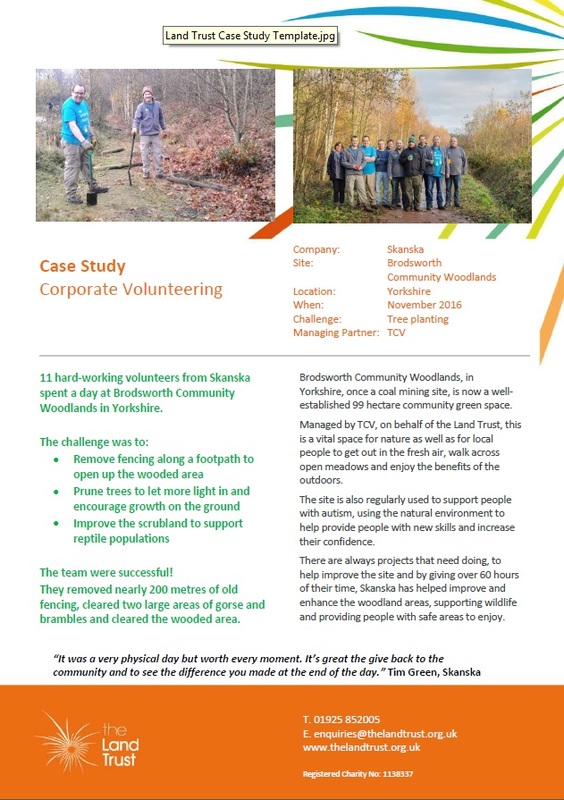 If you would like to discuss this further, please contact Sarah Williams 01925 852 005. 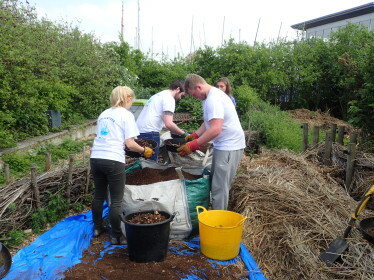 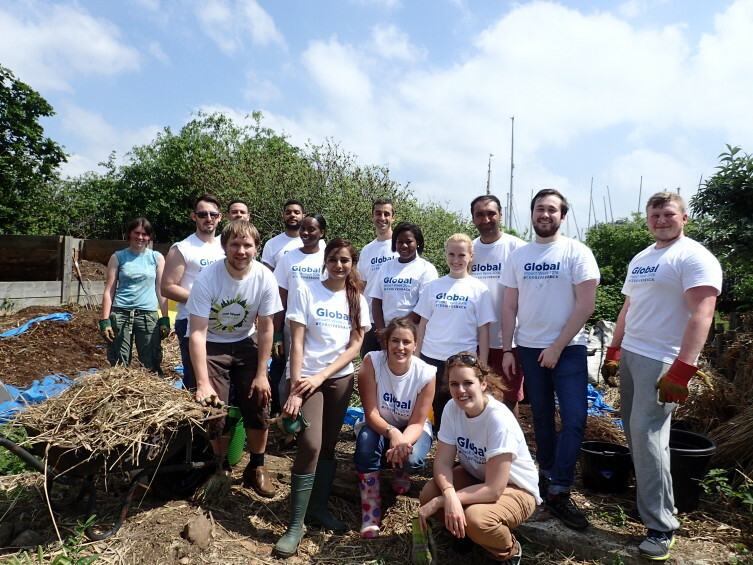 CEB building compost bays and much more at Greenwich Peninsula Ecology Park!